Callie teaching me the ropes. 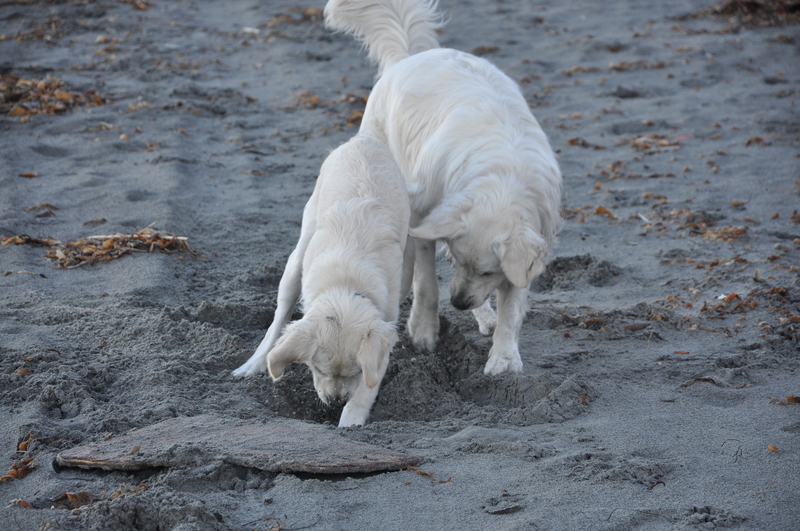 Like I said, we dig and play every morning. I’m getting really good at making my own hole to lay in these days.